It’s 2019 and the US government already has all the major information about your annual taxes, so why are we still filing tax forms like its 1950’s? Sadly automated tax filing already exists in many countries, so why not here in the US? simple answer corporate greed.,the tax preparation industry and lobbyists have pushed hard to prevent any sort of talk of automated filing. Consider this for a second; the United States government ALREADY has all the major tax information it needs to complete your return. Let’s take a peek at this . Any significant income (such as W2, 1099 interest and distributions, capital gains etc. ) and major expenses (your dependents, property tax,capital losses (Stock, bonds) , gambling losses, state taxes etc) are all already reported to the IRS by the different organizations that we are involved with.. so why don’t they just send you a completed return to approve? The answers vary , but the number one reason is the tax preparation industry and lobbyists have pushed hard to prevent any sort of talk of automated filing. The main reason we don’t have the I.R.S automate our taxes is because the tax preparation industry ; These are folks like H&R block, Turbo Tax (Intuit) , and thousands of tax accountants vehemently opposes it, simple as that. They are keenly aware any Auto file (automatic returns) will most certainly eat or kill their business significantly. So they have sent armies of lobbyists to DC to squelch any talk of this. In addition to the lobbying, they also take part in a marketing campaign of FUD (Fear Uncertainty and Doubt) by folks like Grover Norquist about how automated taxes will encourage government to collect more taxes.. its an off the wall idea.. but Republicans consider it gospel,finally assorted other groups like to use the complexities of the tax code as a bludgeon to scare most folks, into using their services. They use tactics like not getting the maximum from your return, over-payment of taxes, abuse of the tax code etc.. Any of these can easily be done today. 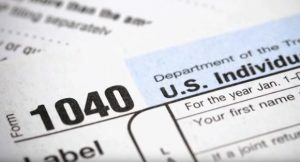 In fact there was an attempt during the Obama administration , circa 2010, to take baby steps at the IRS , by exploring a “return free” tax filing–a polite way of saying that the IRS would do your tax return for you, calculate your balance due or refund, easier. But the same reaction from the tax preparation occurred, armies of lobbyists descended in Washington to squash any ideas. Some States like California have tried to implement their own versions, such as the states Ready Return. But as expected Intuit, which has $2.4 billion in annual revenue and controls more than 70 percent of the tax preparation market, spent more than $1 million in California lobbying against the Ready Return program. There’s a good Plant Money Podcast Episode “Tax Hero” all about it here. Debunking common taxpayer arguments about automating returns. Outside of the tax prep industry objections, when the concept of automating tax filing/returns is explored by those that do their own taxes, some tax payers are quick to point out they itemize their returns and the government may not know way to know all they’re expenses and deductions, and they do not want to miss-out. This is marginally true, the government doesn’t know all your income/expenses year to year, but realistically all large deductions that make any significant part of your return , like your income, dependents, your state taxes, property taxes , and capital gain-losses are all reported to the IRS. If you are self employed or small business owner you should have been filing quarterly estimated taxes, the same goes true for large gambling winnings/losses and real-estate gains or losses. The list goes on, bottom line Uncle Sam wants to make sure you report anything over $600 of annual income. Of course reality is many folks don’t declare of under-report , or mis characterize their income, in the hopes of reducing their tax bill, of course this is nothing new and this is a different topic. Tax-evasion of course is illegal, so if you’re objection about not wanting an automated return so you can “Adjust” your numbers, well that’s fine, but again illegal tax accounting known as fraud is frowned upon by the IRS. Finally in case you’re still unconvinced and think it cant be done, look at the list below. Many of these nations have adopted a more modern streamlined approach to tax filing and have been using it for year. 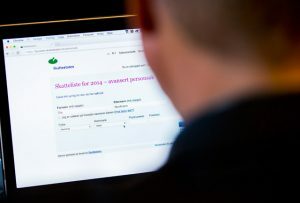 In Norway, they get an SMS that their tax report is ready in March each year. Then they log in to a government run website where they can see it and change the numbers if they have to. They have to pay the owed amount by June, or if you paid too much already you automatically get a refund in June/August. Sweden, Denmark and Finland have similar systems to Norway’s. In Mexico folks just click a button to accept what “El SAT” (Mexico’s IRS) tells you they owed you and then people just wait a couple of weeks for the money to hit their bank account. If they owe money a “bill” is sent via postal mail, or they can pay online. In Spain for the last 10 years its pretty much the same. Go to a website, check your pre-filled tax form, accept, close the browser, take a nap. Hardest thing is the login process. In Slovenia it’s also automated, except instead of getting postal mail you r get an SMS. They know everything already, you just double check and submit any changes. You can do it online or by mail. In Australia and New Zealand also similar..
There’s a pretty good thread here on reddit that I started that addresses the question “Why File Tax returns every year?”, needless to say there’s a lot of discussion..
Bottom line, this is one of those clear cut cases, where everyone agrees automated returns are good for everyone! America, c’mon it’s time we modernize, sometimes what benefits citizens should take precedence over what protects an industry.